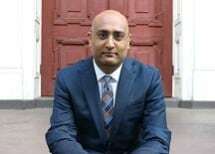 I am Savannah attorney Sneh Patel, and I understand that experience is the key when it comes to criminal law. Whether you are facing a DUI or a traffic ticket, I will explore every defense option available to minimize the consequences. I handle everything from simple traffic tickets to felony drug crimes, assault and battery, DUI and much more. My experience is what sets me apart from other attorneys. I have served as both an Assistant District Attorney and a Public Defender for Liberty County, Georgia, and I am an active member of the Chatham County DUI court team. The knowledge I have from both sides of the courtroom gives me a tremendous advantage in crafting effective defense strategies for my clients. I regularly attend courses and seminars in order to stay current on changes in procedures and the law. Since founding my law firm in 2014, I have handled a number of high-profile cases. One notable case was the hatchet murder in Hinesville, in which I defended a client accused of double homicide. The Patel Law Firm was also featured in "The South's Greatest Lawyers," published by the South Magazine. As others have said about me, "Sneh has the skill and experience to be a formidable foe in any legal setting." Because I am a sole practitioner, I am able to ensure that my clients get one-on-one attention. I personally answer the phone when they call, listen to their concerns, answer their questions and address their needs. In addition, the small size of my practice means that I don't have to charge more to cover the cost of overhead and personnel. Instead, I am able to keep my fees reasonable. As a public defender and former assistant district attorney, I have faced off against criminal defense attorneys throughout Georgia. I will look for ways to protect your rights, whether your offense is drug or alcohol related. Traffic Violations Many states use a points system for traffic violations. The points go on your driving record and stay for specified periods of time. Many states use a points system for traffic violations. The points go on your driving record and stay for specified periods of time.